In a recent survey of college pricing, the College Board found that a “moderate” college budget for an in-state public college averaged $23,410 for the 2014–2015 academic year. A moderate budget at a private college averaged $46,272. The high cost of college is resulting in many parents and other family members co-signing for a student loan to help the student get the funding that they need. There are a number of things that you should keep in mind before deciding to co-sign for a student loan. Becoming a co-signer means taking responsibility for the payment of the student loan. If the borrower is unable to make payments on the student loan for any reason, the task falls onto your shoulders. If you do not make the payments, it will be reflected on your credit history, will damage your credit score, and debt collectors may come after you. There are very few legal options available for getting out from under onerous student loan debt. Bankruptcy laws prohibit the modification of student loans by the court. In some cases, the loan payments can be delayed for a period of time, but the total amount will still be due to the lender once that time period ends. About 90 percent of borrowers who request to have their co-signers released from their obligation are rejected. 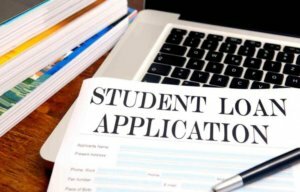 In many cases, it is difficult to even obtain information about the process for securing a co-signer’s release from a private student loan. Even though private lending companies advertise the ability to release a co-signer from the loan at a later date, review all of the information in the loan documents carefully to ensure there is actually a mechanism in place for removing a co-signer from the loan. If a co-signer dies or files for bankruptcy protection, there is a chance that the student loan will be automatically placed in default, or become due in full, regardless of the payment history on the loan. Primary borrowers have been surprised to find these types of actions taken against their accounts even though they are current on the payments for the loan. Such “automatic defaults” are common when loans are sold or securitized and are handled by a new servicer. These difficulties should make you think twice about co-signing for a student loan. Government student loans rarely require a co-signer and have various payment protections in place, so a student should secure as much money in government loans as they can before turning to private loans. Students should also consider attending a college with lower tuition costs if they are having difficulty obtaining student loans on their own without a co-signer.